The 7th amendment to the EU Cosmetics Directive prohibits to put animal-tested cosmetics on the market in Europe after 2013. In that context, the European Commission invited stakeholder bodies (industry, non-governmental organisations, EU Member States, and the Commission’s Scientific Committee on Consumer Safety) to identify scientific experts in five toxicological areas, i.e. toxicokinetics, repeated dose toxicity, carcinogenicity, skin sensitisation, and reproductive toxicity for which the Directive foresees that the 2013 deadline could be further extended in case alternative and validated methods would not be available in time. The selected experts were asked to analyse the status and prospects of alternative methods and to provide a scientifically sound estimate of the time necessary to achieve full replacement of animal testing. In summary, the experts confirmed that it will take at least another 7–9 years for the replacement of the current in vivo animal tests used for the safety assessment of cosmetic ingredients for skin sensitisation. However, the experts were also of the opinion that alternative methods may be able to give hazard information, i.e. to differentiate between sensitisers and non-sensitisers, ahead of 2017. This would, however, not provide the complete picture of what is a safe exposure because the relative potency of a sensitiser would not be known. For toxicokinetics, the timeframe was 5–7 years to develop the models still lacking to predict lung absorption and renal/biliary excretion, and even longer to integrate the methods to fully replace the animal toxicokinetic models. For the systemic toxicological endpoints of repeated dose toxicity, carcinogenicity and reproductive toxicity, the time horizon for full replacement could not be estimated. Sarah Adler, David Basketter, Stuart Creton, Olavi Pelkonen, Jan van Benthem, and Valérie Zuang contributed equally to this work. Disclaimer: This report represents the opinions of the authors as individual scientists, and should not be taken to represent the positions of any institutions, including those of ECVAM and the other Services of the European Commission. The online version of this article (doi: 10.1007/s00204-011-0693-2) contains supplementary material, which is available to authorized users. 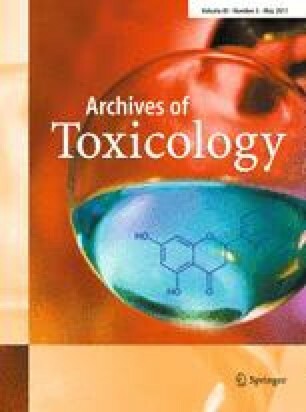 The working group experts underlined in their discussions the central importance that should be allocated to toxicokinetic considerations for the design and conduct of toxicological (in vitro) tests and the interpretation of the toxicity data generated by these tests. The experts came up with a conceptual framework, as illustrated in Fig. 11, for the assessment of systemic toxicological effects without using animals as model for the human body. First, information on the extent of exposure needs to be considered, taking into account exposure scenarios for multiple routes and multiple sources. Then the likely exposure(s) need to be compared with the route-specific threshold of toxicological concern (TTC) value(s) (if these are known), i.e. exposure values below which no adverse effects have to be expected. If the external exposure is below the TTC value, the conclusion would be that the considered use of the substance is safe and a refined risk assessment, e.g. including animal testing, is not needed. If the external exposure is above the route-specific TTC value, then the internal or target dose, to which the target cells or tissues/organs might be exposed, has to be estimated. For this estimation, knowledge on absorption, distribution, metabolism and excretion (ADME) of the substance under consideration becomes important. Most of this information can be deduced from appropriate in vitro and/or in silico studies, which will allow the estimation of the internal or target dose by means of physiologically based toxicokinetic (PBTK) modelling. PBTK models would be used as a means to convert external doses into internal concentration–time profiles and/or to convert concentrations used in the in vitro tests, which represent an assumed target dose, into external doses. If the internal dose (e.g. concentration of the target substance or its metabolites in the blood) is below the internal TTC value (determined from an appropriate database of in vitro assays), the conclusion would be that the assessed product use is safe and further testing is not needed. It should be noted though that whereas the TTC approach for external exposure is becoming widely accepted particularly for food contaminants due to the available databases, the internal TTC approach, while valid as a concept, needs further data acquisition for providing a scientific solid basis. If the internal TTC is not known, it is necessary to assess the potential impact of the estimated target dose on the target tissue/cells. This can be verified by means of exposing appropriate cell or tissue cultures (in vitro) to the target dose range or by carrying out in silico evaluations. At a minimum, the in vitro methods will allow a dose response relationship to be established, which would indicate if the estimated internal dose (range) is indeed of potential toxicological concern, i.e. able to induce effects at molecular, cellular or tissue level. Using appropriate modelling techniques that take into consideration the relevant toxicokinetics, it may then be possible to extrapolate from the observed molecular, cellular or tissue level effects to the toxicological impact, i.e. the adverse health effect or disease at organism level. PBTK models will allow to link dose levels used in the in vitro experiments (and hence the related observed effects) with external exposure levels. However, it has to be pointed out that the relationship between observed effects in vitro to an adverse health effect at organism level remains to be established in many cases (area outside the shaded boxes in Fig. 11), and this could be the main rate-limiting step to the application of this framework in practice.